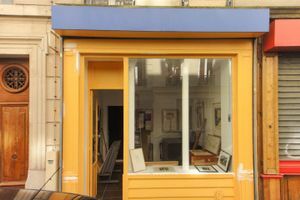 This bright and charming gallery in the tourist area of Montmartre is ideal for Art Exhibitions and Pop-Up Shops. With a bright yellow frontage and window display this shop has a welcoming look. The interiors are simple with white walls and a tiled floor. 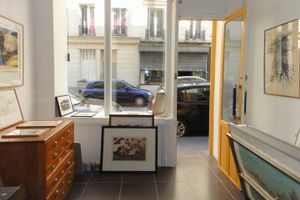 This cosy shop has a creative air and the original furniture contributes to the artistic atmosphere. With Wi-Fi, a kitchen and security system, this gallery is well equipped for creative exhibits and sales. 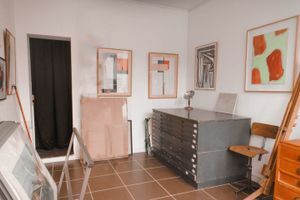 There is also a small studio space that can be made available on request. With a wealth of restaurants, art galleries and retailers in the surrounding area, this space is versatile and easily accessible.